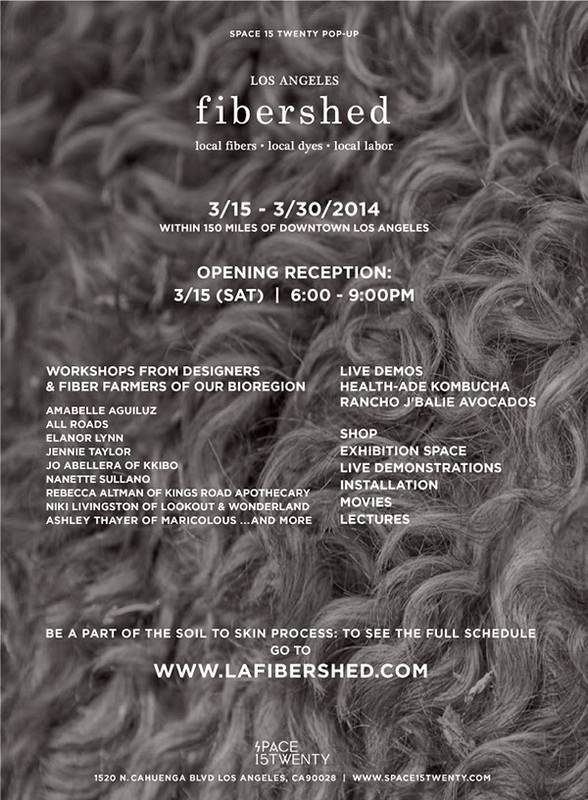 Los Angeles Fibershed is a cooperative effort to bring attention to the concept of bioregionalism. With a focus on local fibers and local labor in combination with a commitment to high design, they are a functioning model of "slow fashion." Their mission is here. This Saturday evening, they will be hosting an opening reception for their pop-up at Space 15 Twenty that combines a shop, exhibition space, installations, live demonstrations and educational events – lectures, movies and workshops – dedicated to educate the local community about the soil to skin process. Included will be raw fiber and yarn from local farmers and handmade clothing, accessories and home goods by LA based artists made of locally sourced materials. Such items include pieces by Amabelle Aguiluz, Janelle Pietrzak / All Roads, Elanor Lynn and other amazing talents. Los Angeles Fibershed will also be host "reskilling" workshops at Space 15 Twenty throughout the next two weeks (see below), movie nights and a Sunday flea market. An ongoing live installation piece will demonstrate how a garment is made from start to finish: Fibershed members will transform the gallery into a collaborative studio space and work together for the duration of the exhibit to create a one-of-a-kind soil to skin garment. 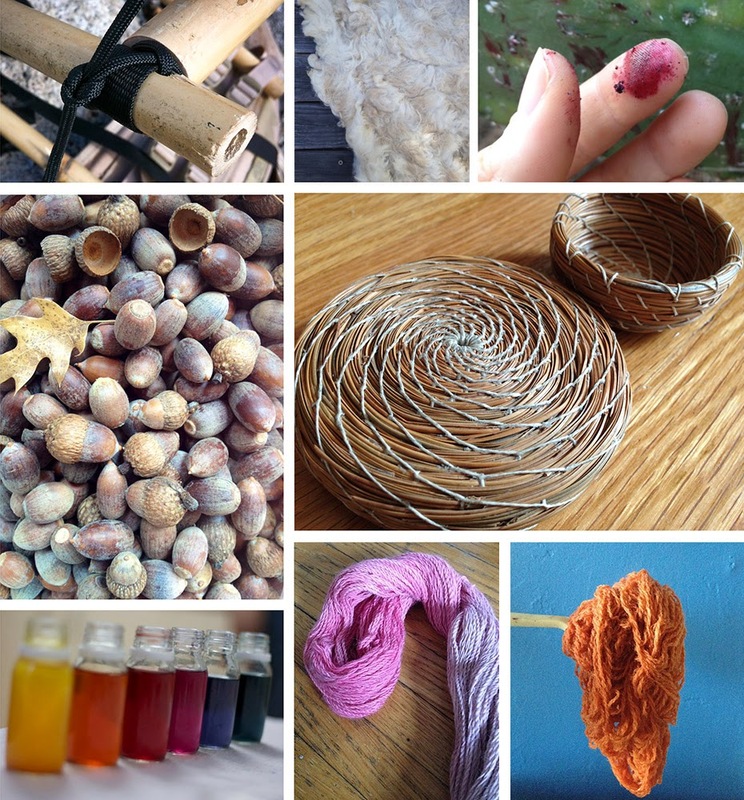 Visitors are encouraged to drop in, watch demos, ask questions and feel samples of wool and local materials. The Workshops sound awesome to say the least! You can sign up for individual classes or for 3 with a discount of $10 off each class. Each instructor is donating all or a portion of proceeds to fund the expansion of LA Fibershed.